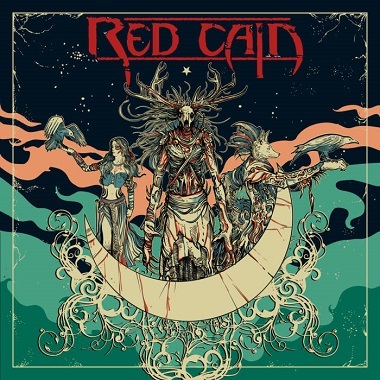 Red Cain: «With this single and lyric video from our upcoming full-length album, we take a deep dive into the wonderful, lethal darkness of Celtic mythology with the tale of The Morrigan, goddess of war, and Cuchulainn, a mighty hero daring to spurn her advances - a tale sung by warriors across many campfires on cold winter nights. We are extremely proud and excited to have our friend and Kobra and the Lotus frontwoman Kobra Paige featuring on "Wing of the Crow". Her work with Kobra and the Lotus needs no introduction, and when it came time to deliver the mighty yet intricate vocals for the Morrigan, the Celtic goddess of war, on this track, she was our unanimous choice for the part. Lyric video: "Wing of the Crow"